Does your dog start to shake or hide around people? Does he put his tail between his legs and doesn’t leave your side while in public? 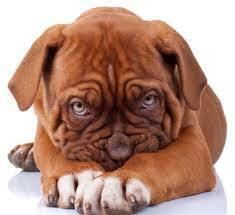 Your dog is either afraid or very shy which can be caused by many different issues. If you adopted a dog from a shelter, there could be “skeletons” in his closet that you may not be aware of. If the shyness is moderate to severe, your best bet is to seek a trainer that is well educated in behavior modification. If the condition is not that severe there are some things that may help this situation. Quick and dirty tips .com, provides the following information for dogs that do not have a severe shyness problem. Shyness and fear are hard to shake under the best of circumstances, whereas fearful responses are easily learned. And the more time your dog spends feeling anxious or fearful, the deeper that anxious groove gets worn. So, as much as you can, protect your shy dog from things that scare her. Trainers and behaviorists use the concept of “threshold,” meaning the point at which an animal just barely becomes alert to something that worries or upsets her. She might watch whatever it is, or breathe faster, or give some other sign that she’s less than 100 percent relaxed and happy. That is your cue. Make it your business to create more distance between your dog and the object of her alertness. If you live in an urban environment or if your dog is afraid of many things, you may not be able to avoid them all. Do the best you can. After that, it probably goes without saying that you shouldn’t push your dog to engage. Nor should you use food to lure her toward something that scares her. If your offer of a treat frequently predicts situations in which she’s pressured to approach scary things, you can even wind up with a dog who’s afraid of treats. Keep your oldies playing all the time! EDGEWATER GOLD RADIO plays the best variety of oldies anywhere! You’ll hear the fifties through the eighties all the time. On Weekends, we feature a classic disco show from 7pm til 12mid. Ask Alexa to “Play Edgewater Gold Radio.” Listen from our website: Edgewater Gold Radio.com. This entry was posted on Thursday, March 21st, 2019 at 9:14 am	and is filed under Pet Supplies. You can follow any responses to this entry through the RSS 2.0 feed. Both comments and pings are currently closed.